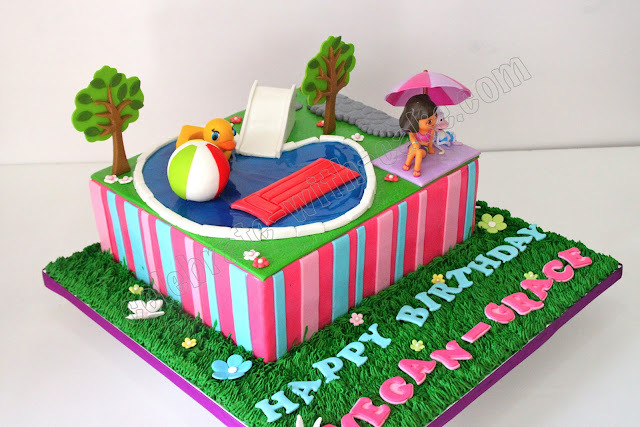 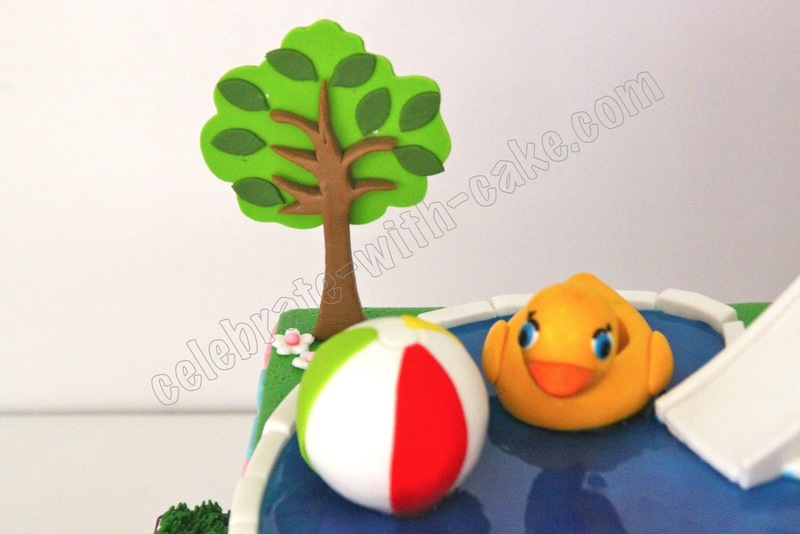 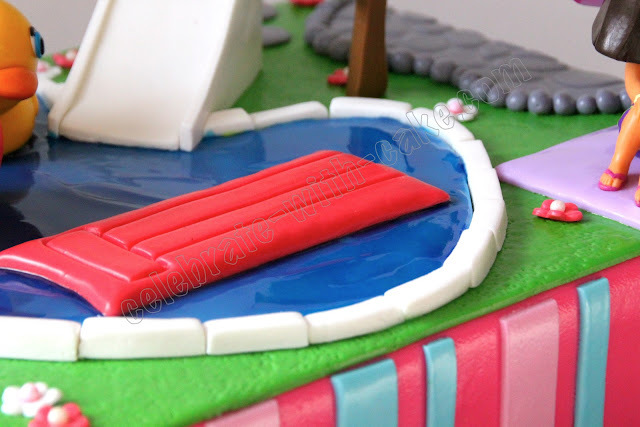 We loved how cute this swimming pool themed cake turned out! 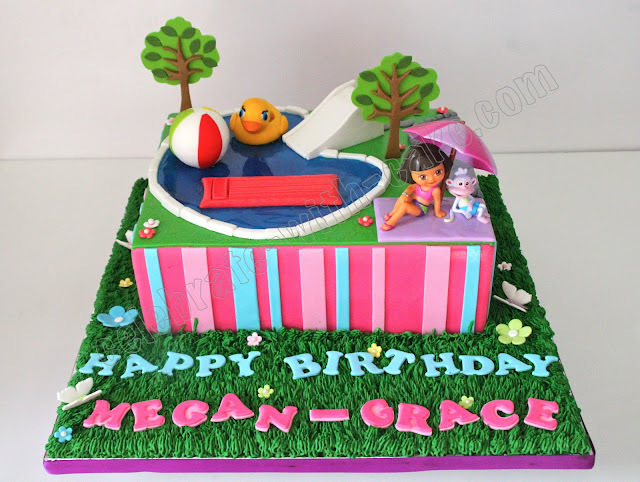 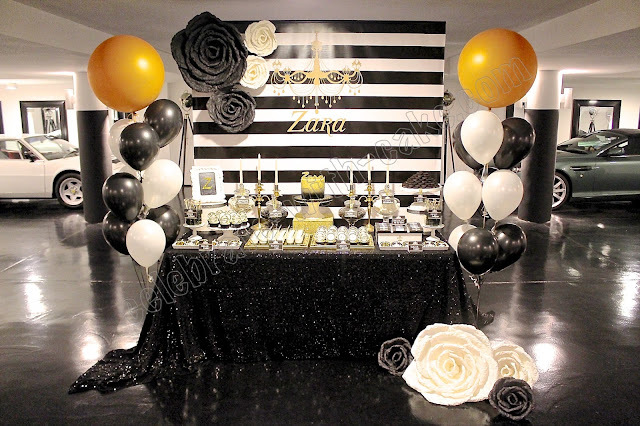 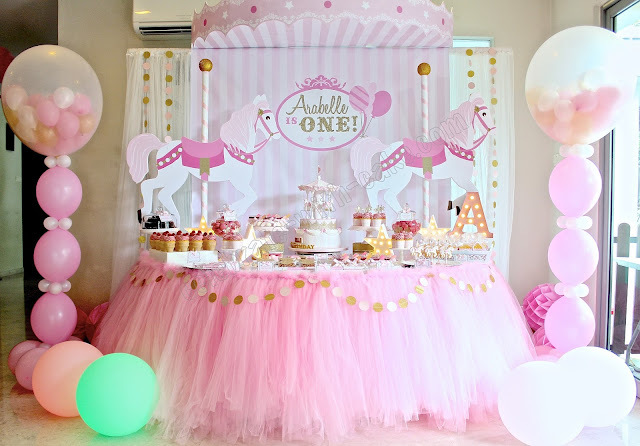 The candy colored stripes on the sides of the cake added on to the fun-ness of the cake too! 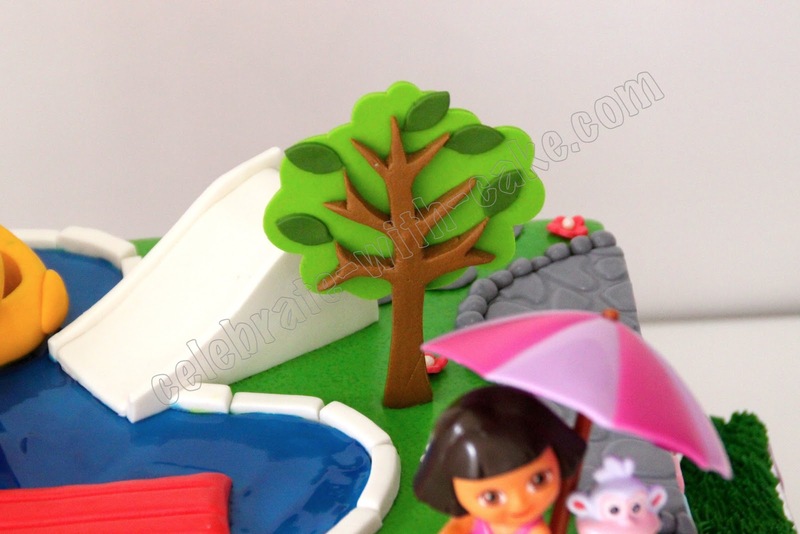 Dora figurine provided by client!